We were thrilled to finally find someone whom we could trust to watch our home. We needed someone to keep a close eye during our extended getaways. From the beginning, Joan was responsive to all our emails and questions. We were impressed with her organizational skills and her close attention to details. She always did what we asked her to do and gave us a thorough report each time she checked our home. After a recent high wind storm, she made an extra visit to our home to ensure there was no damage. As a result, we were extremely pleased with her service and will definitely use her again for Home Watch. Joan at SHPM is extremely reliable and trustworthy. Joan managed our home beautifully while we were away for many months. She gave us tremendous peace of mind, taking care of all the issues that came up during this period, never leaving anything to chance. She was very methodical in how she handled everything and was very good at keeping us informed regularly. What she provided was way above and beyond what we expected – nothing we asked was too much for her. We can recommend her without any hesitation whatsoever. I am very pleased with the services Somerset Hills Property Management provides for my rental unit, Joan is always very quick to respond to any issues that arises and get them resolved quickly, Joan is also concerned about the cost of any repair and tries to get the cost down as much as possible. With her dedication and professionalism, I can be away from home with peace of mind. Joan helps take care of all kinds of problems that my tenants have quickly and cost efficiently. It is very helpful. I signed with Somerset Hills over three years ago and am continually pleased with my decision. Due to her attention I have been kept apprised of current conditions as well as potential problems which she dealt with quickly and cost effectively. This has also allowed me to consistently lease and re-lease my property with little to no disruption in monthly income. Having her as my property manager has been a godsend and I wouldn’t even consider using any other company. I am extremely pleased with the service Joan has provided at my unit. I live in another state and she continually goes above and beyond whenever a problem arises. She has taken care of a water leak from the roof and worked with the association and insurance company with all resulting remediation and repair. The latest tenant transition was seamless and trouble free. Most recently, she took care of replacement of the hot water and ensured all code requirements and inspections were completed. As a result, the tenant remains very happy (as do I). She provides peace of mind which is priceless! Joan has overseen and completed many projects for us across a variety of properties. Her highly communicative style matched with her efficiency and resourcefulness make her an exceptional part of our property management plan. Somerset Hills Property Management, owned by Joan Triano, has delivered everything promised and more. When I decided to move to Sydney, Australia, I also chose to rent out my condo in Bedminster, NJ. I could not have done that without Somerset Hills Property Management. I spoke with a number of firms, but chose Somerset Hills Property Management because I knew who would be looking after my property and my renters. I trusted Joan, and I saw professional competence, great communication, and a “whatever it takes” attitude to successfully manage my property. I made the move with great peace of mind. Joan has managed my property for over a year now without any problems. My renter knows Joan, and feels well looked-after. I have needed a couple of repairs to the condo, and Joan coordinated each one, drawing on her experienced tradesmen to keep my condo in great condition. All costs were completely reasonable, and backed up with photos and invoices. Her transparency and communication have been terrific. After the recent blizzard, there was snow infiltration into the attic areas of the home. Joan has coordinated repairs with the Condominium Association better than I could have myself! I am very happy that I chose Somerset Hills Property Management! Joan worked for a client of mine who owned a home in Bridgewater but lived in Japan! Joan took care of everything that needed to be done both before we listed the house and when we needed to resolve inspection issues. I never had a concern that my client was overseas, because I had Joan! Joan Triano has been watching our home for extended periods over the last two years while we are away from home. She visits our home on a weekly basis and takes care of anything needed at the house, including changing bulbs, alarm batteries and keeping the cars functioning. She provides us with sustainable feedback. Joan is very trustworthy and reliable and makes us feel so comfortable while we are away from home. We continue to use her services. We would like to thank Joan for her dedication and professionalism and recommend her and Somerset Hills Property Management for the excellent work and services she provides. The experience of being an overseas absentee landlord has improved exponentially since we agreed to work together. My sincere appreciation for all you do to offer advice and make it less complicated. A Saint !! An absolute Saint. As kids, we had the difficult task of moving our elderly parents from a large, beautiful, but run-down property in Basking Ridge to a retirement facility in MA, from long distance. We learned of Somerset Hills Property Management from our appointed Realtor. The owner, Joan, was kind enough to take on our project, and little did we know then what we would throw at her. Soon after moving the parents out after 46 years there, she took total control of doing everything we wanted done to dispose of household goods, identified, catalogued and photographed furniture items, loading them onto local sites and selling them. When the house went under contract, she met every inspector, contractor, and coordinated a huge variety of projects like having the oil tank removed and replaced, completing asbestos remediation, readied the house to meet fire inspectors, etc. She had valuable items packaged and shipped to the kids, coordinated donation pickups and receipts, emptied the house of all items, had a great home cleaning service prep the house, and helped smooth over relations with the new owners. We put a lot of demands on her, and at times with very short timeframes, and every single time everything was done with great efficiency, professionalism, and excellent communication, all at a very reasonable cost. What an incredible support she provided us! It just shows us that no project is too large for her, and her caring ability and enthusiasm for everything we threw at her, made her an invaluable asset. We are proud to recommend her! I recently underwent the process of having to identify and select a new property manager for my home as a result of my longstanding (nearly 4 years) property manager’s decision to move out of state. I was quite concerned about how difficult it would be to find a new person to fill the shoes of someone who had proven themselves capable of earning my trust and managing my home in an outstanding manner while I have lived (and continue to live) overseas. I am fortunate to have found Joan Triano, Owner of Somerset Hills Property Management, who has very quickly established herself as being extremely capable and very professional in her approach to managing my 4 BR single family home on a large piece of property. I should add that we have water and basement management systems and a creek nearby that tends to “expand” with heavy rains. What has impressed me most about Joan is how organized, systematic and thorough she has been in assuming the role. From the documentation of the critical specifications to manage our home, to the way she manages the process of competitive bidding, selection of the contractor, oversight of the work performed on our property, the invoicing process – there are no details that Joan leaves uncovered. Joan is very diligent in communicating – whether it is “just for information” or to help me make a decision – in a very proactive and timely manner. During the recent Hurricane Sandy event, Joan did everything she could to assist with the preparedness to protect our home and also in the aftermath to ensure it was back in good shape for me and for our tenant. This has given me peace of mind and confidence that my investment and tenant are well looked after, despite that I live on a different continent and in a different time zone. Joan has not only made the transition a smooth and successful one, she has also earned my trust as someone who manages my property as if it was her own. As a recent out-of-state real estate investor, I needed someone to help manage my interests on-site. After considering several companies I knew Somerset Hills Property Management was the best solution. Property Manager and Owner Joan Triano is professional in every regard and has been a great assistance from the outset. 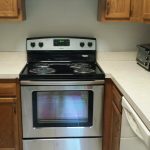 Her suggestions in terms of making the property more rental-worthy were well received by potential tenants, and, I believe, instrumental in securing a lease quickly. She was there to welcome the new tenants and offer information to help them settle in quickly in their new home. Establishing that one-on-one connection with the tenant is something I am unable to do due to distance and am convinced that this is one main key to a long and happy relationship with my lessee. I understand that unexpected problems can and do arise. Joan outlined her detailed and organized process for addressing any issues. Knowing Somerset Hills is available and proactive I feel secure in owning long-distance property and am considering another purchase as I am confident that my best interests are being safeguarded. We are very pleased to heartily recommend Joan and her company, Somerset Hills Property Management. We have lived in the area for twenty years, and only wish we had met her sooner. Joan has been “home watching” for us for two years now. We are “Snowbirds” who live half of the year locally and half of the year in the south. I’d like to mention that I have worked in the past as a Property Manager (in NYC) as well as a real estate salesperson in New Jersey and NYC, and am somewhat familiar with what is involved. Joan is more than a cut above what one expects. Thank you, Joan. Joan, I would like to take a minute to thank you for many things. We met several years ago at a networking meeting of business professionals. I had just started the group and when you joined, it made the group a better venture. You made us become accountable for our time and values and I will never forget it. The way you conduct business with honesty and dedication is to be admired by those fortunate enough to share in the experience. Here we are years later and we have shared many referrals back and forth. You continue to exemplify your professionalism and I must admit that I changed the way I conduct my business as a result of your model example of conduct. I have heard nothing but accolades from the clients I referred. They are most impressed by your accurate accounting of their property and your incredible attention to detail. I will continue to pass your name along with great confidence and to share your name and business model with other professionals in the real estate industry. Thank you for being all that you are, both personally and professionally. I wish you continued success in your business. Over the last 2 years, we hired Joan and Somerset Hills Property Management to watch our home while away for extended periods, ranging from two weeks to two months, in both hot and cold weather. She consistently took care of everything on our list including replacing outdoor light bulbs! Joan is trustworthy and reliable. We always come home to a house as perfect as when we left it and she cares for our property as if it were her own. We know that our home is being taken care of and that sense of security and peace of mind is priceless. We continue to use her services. We want to thank you and Somerset Hills Property Management for taking such good care of our townhome in The Hills while we were away. It gave us peace of mind to know that you were watching over our home. I really appreciated the email communications giving me an update and letting me know that our paper was still being delivered even though we had stopped it. You also replaced the battery in our smoke detector when it alarmed so we didn’t have to deal with it when arriving home close to midnight. We will recommend your service to others knowing the attention to detail and professionalism you provide. Thank you again. Joan’s top-notch organization skills and attention to detail make her the ideal property manager. We’ve contracted with her to keep an eye on our home on numerous occasions when we’ve been away for short and extended vacations. Her “away from home” checklist has helped us quickly identify things that will need watching/doing during our absence so that we can leave home worry free. Communication has also been timely. And while we’re away, we know that we have a professional and reliable person watching over our home. Allen M. and Debbie G.
We would like to take this opportunity to thank Somerset Hills Property Management for the thorough and timely care and maintenance of our home in The Hills this past winter as we prepped it for sale. Several issues were effectively and efficiently addressed. Problems from a fireplace that wouldn’t start to a leaking window with damaged shades were given expedient attention. We were kept informed of activities with clear and concise communications and pictures. Once again, thank you for the professional services that you provide. I previously owned rental properties and tried to manage them myself. Hiring Somerset Hills Property Management for my recent rental investment was a great choice – they pay excellent attention to detail, are proactive and in their approach and maintain a high level of communication. Since I am a remote owner, this is even more valuable – I know that my investment is maintaining its value.